“I have just been to the 2016 RSA conference in Boston, where I co-organised, with Sandra Cheng (New York City College of Technology), two sessions debating Italian caricatura: Material Practice, Collectors, and Art Theory. 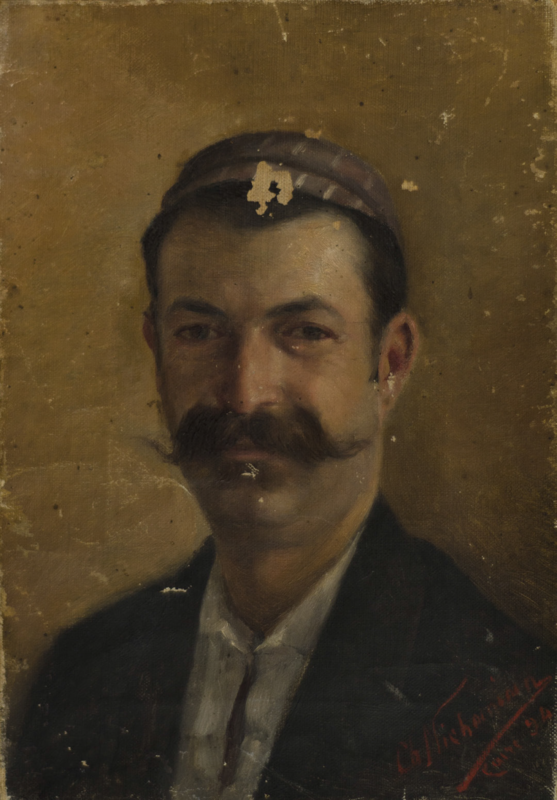 This emphasis on caricature, still under-researched by art history, attracted a range of distinguished speakers, including Sheila McTighe (Courtauld), Roger Crum (University of Dayton) and Joris van Gastel (Hertziana). Renewed attention to the bewildering appeal of caricature, to its potential to resist as well as to slander, is particularly urgent today, in the wake of the ‘Muhammad cartoons crisis’ in 2005 and the recent atrocities in Paris in 2015. That’s current students – but we were able to celebrate the success of a cohort who have now completed their programme of study with us on Wednesday afternoon this week – our MA students who finished in 2014-15. Many congratulations! 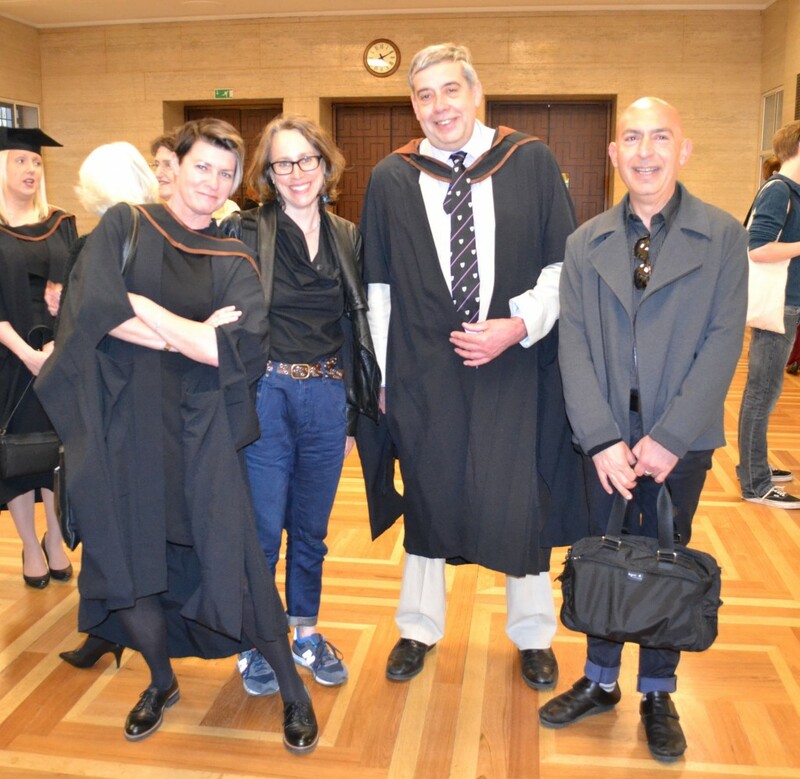 My colleagues Gabriel Koureas and Suzannah Biernoff and I were interviewing that afternoon, but managed to make it over to Senate House just in time to join other members of staff and say well done to a couple of our alumni in person. Here’s a lovely picture of Suzannah and Gabriel with Jo Cottrell and Graham Head looking splendid in their robes. There are lots of events to tell you about, as we embark on the summer term – and I have some notably busy colleagues. Professor Lynn Nead, in particular, has an eye-wateringly packed itinerary over the next week. Tomorrow, Saturday 23rd April, she will be speaking on ‘Picasso as Romantic Artist’ in a study day at the National Gallery connected to the ‘Delacroix and the Rise of Modern Art’ exhibition. That evening, she’ll be one of a panel of critics on ‘Saturday Review’ (BBC R4). Then, on Wednesday next week, 27th April, she’ll be speaking at the V&A in the morning on ‘The Image of the Prostitute’, and again in the evening as part of a panel discussing ‘The Crinoline’, along with Brian May. Yes, that’s Brian May of ‘Queen’ fame, as he’s just published a book about his collection of stereoscope photographs on this subject! Early period colleagues have, as ever, been organising a wonderful array of speakers as part of the Murray series on Medieval and Renaissance Art. Tonight (Friday 22nd April), in the Keynes Library, Bernd Nicolai will be examining the late-gothic west facade of Bern Minster and its extraordinary sculpted portal featuring scenes of the Last Judgement. He’ll be considering the power of change in this and other church-building programmes in imperial cities during the fifteenth century. The journal is available online, free of charge, and the event is next Tuesday, 26th April in the Keynes Library, at 6.30pm.